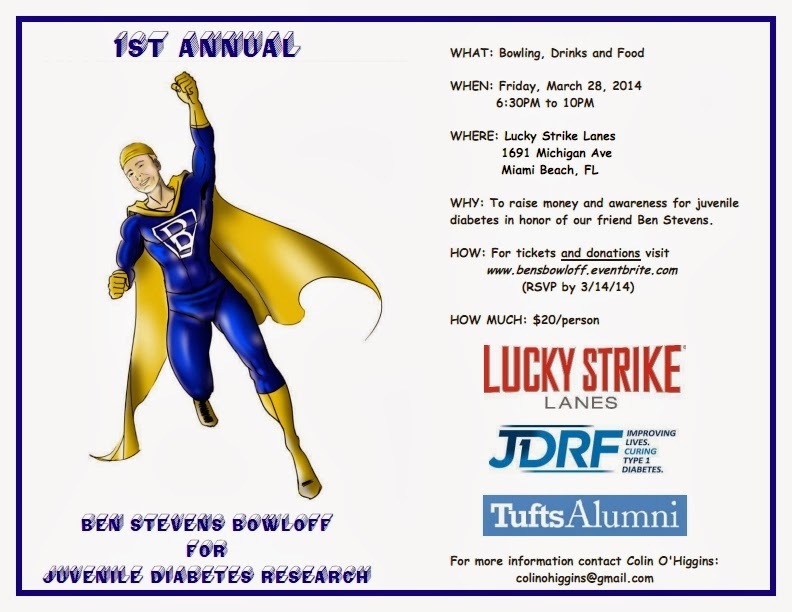 If you're my friend, then you are obligated to attend the upcoming Ben Stevens Bowl-Off for Juvenile Diabetes Research on Friday, 3/28 at Lucky Strike in Miami Beach. If, for some reason, you have an excuse cooked up, like "my wife is due to give birth that very night" or "I'm out of the country performing life-saving surgeries on impoverished Third World people" or "I'm washing my hair" then you can still donate. So there.